Home Latest Top News!! Whatsaap & Facebook Pr Message Sauthi Vadhu Suraxit. Top News!! Whatsaap & Facebook Pr Message Sauthi Vadhu Suraxit. 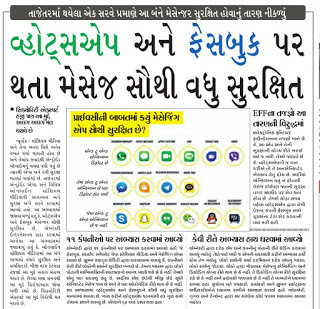 Good News For You Whatsaap & Facebook Privecy is Vary Better other Socual Media Apps In Chating.More Details Visit Blue Link. Top News!! Whatsaap &amp; Facebook Pr Message Sauthi Vadhu Suraxit. Previous article1705 Granted School Ma Principal Vina Gadu Gbde Chhe. Next articleGranted School:-Fix Pay Karmchario Ne Khas Bhaththu Aapva Related Latest Pariptra.